3. How did Rick Ross lose weight? Recently the hip-hop artist Rick Ross, who was known for his large stature, surprised everyone by revealing his drastically different figure. 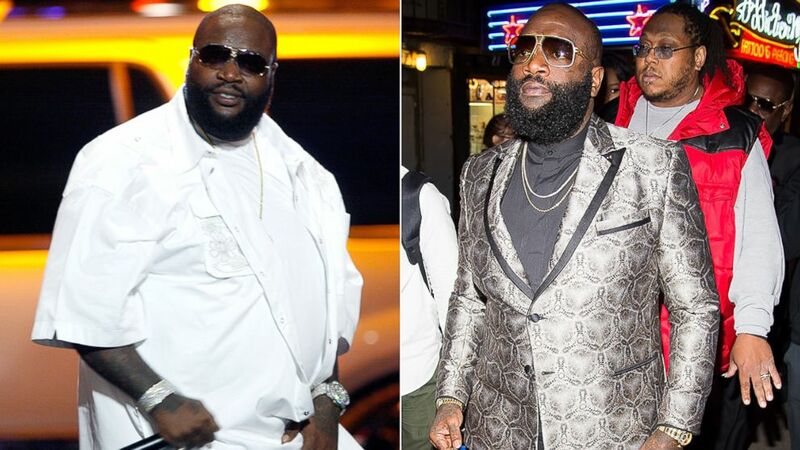 The Rick Ross transformation didn’t go unnoticed by his fans or the media. 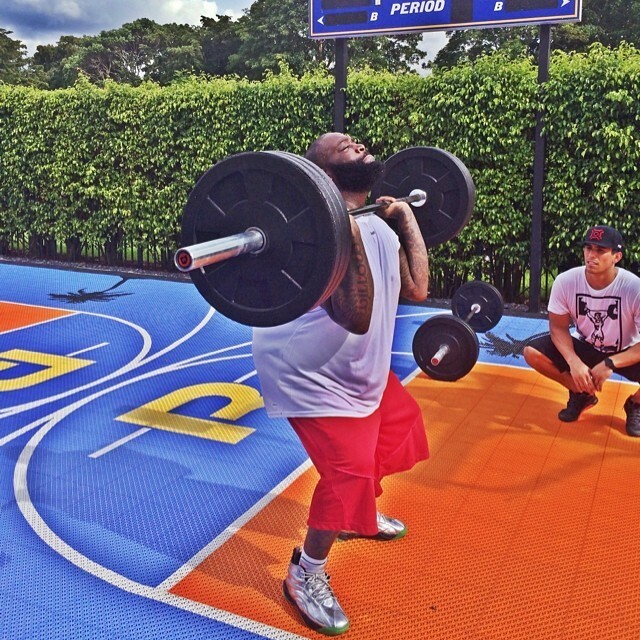 Check out some Rick Ross weight loss pics and find out how Rick Ross lost weight right now! If you look at Rick Ross latest pics, you can’t help but be impressed by his current look. Stylish, fit, and confident – that’s the Rick Ross we know and love now. However, the rapper didn’t always look like that. For years, Rick Ross has been more than proud of his build. Despite being significantly overweight, the rap mogul often posed shirtless for his music videos and photoshoots. The Rick Ross fat loss journey started a few years ago, when the beloved artist suffered two seizures in one day. 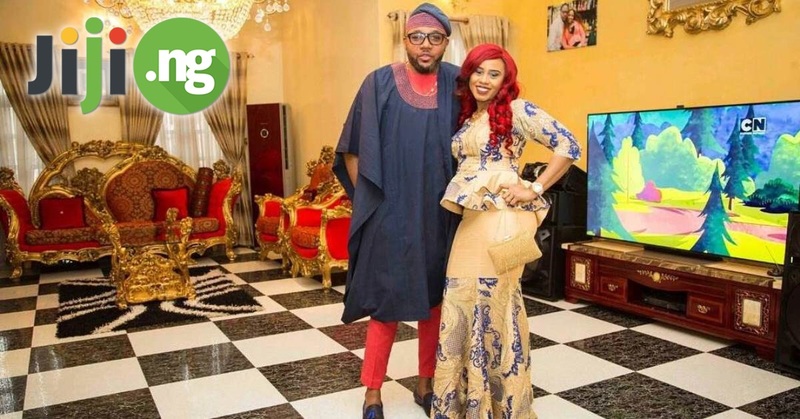 After successfully recuperating from the seizures, he went to see an acclaimed doctor. The doctor looked at the rapper’s medical chart and told him he needed to make some serious changes to his lifestyle. The first change prescribed by the doctor was cutting various sodas from Rick Ross diet plan. While that wasn’t the only change done by the artist, it was the one that triggered all the positive transformations in the life of Rick Ross. After seeing Rick Ross after weight loss, millions of fans wondered the same thing: how much weight did Rick Ross lose? At his heaviest, Rick Ross weighed over 150 kilograms. 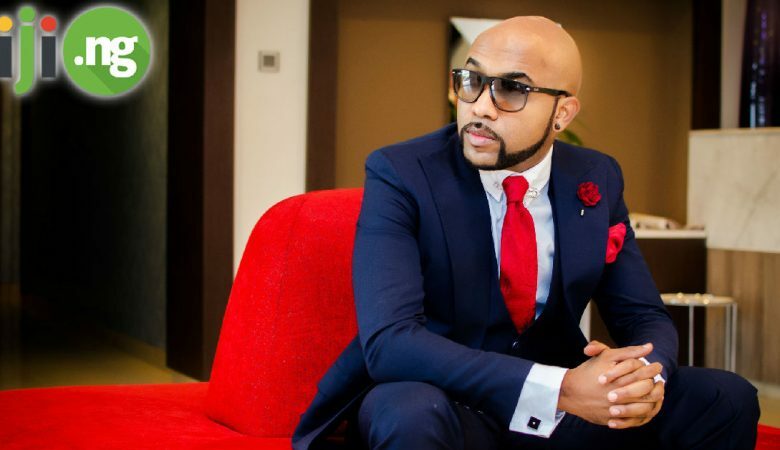 Thanks to his decision to get healthier, the rapper managed to lose about 50 kilograms and currently weighs around 100 kilos. 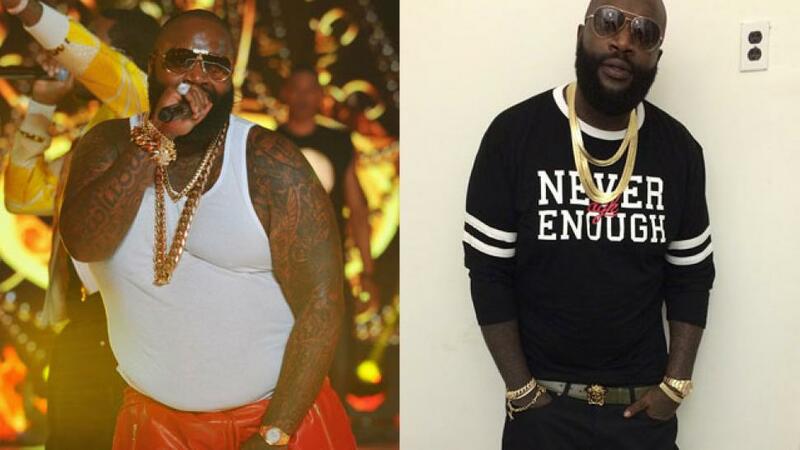 To say that Rick Ross before and after weight loss is like two different people would be an understatement. The only thing that left unaltered is Rick’s signature beard and his impeccable fashion sense. 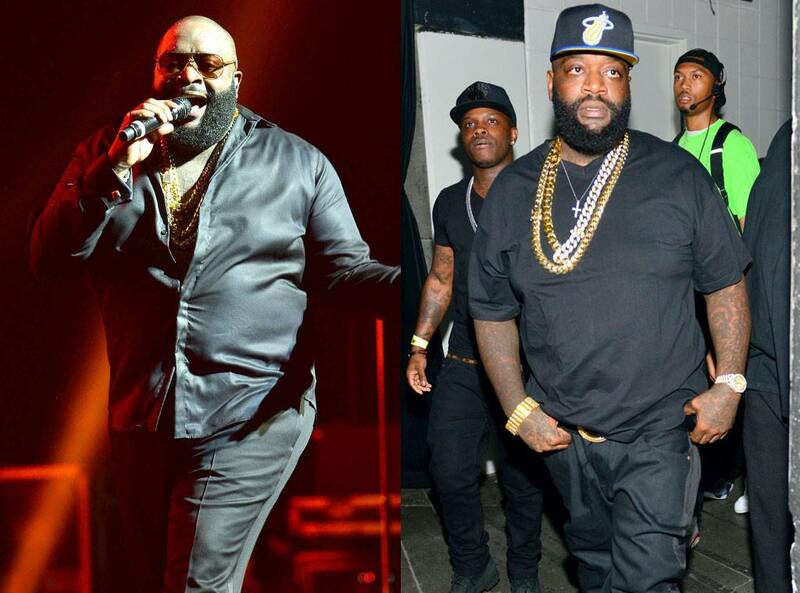 Check out the most striking photos of Rick Ross’ weight loss transformation! First and foremost, Rick Ross eliminated sodas and other sugary drinks from his diet. He also limited his alcohol intake. Occasionally, however, he enjoys a diet soda. Ross dramatically increased his water intake: he believes drinking lots of water is the key to a healthy body and weight. 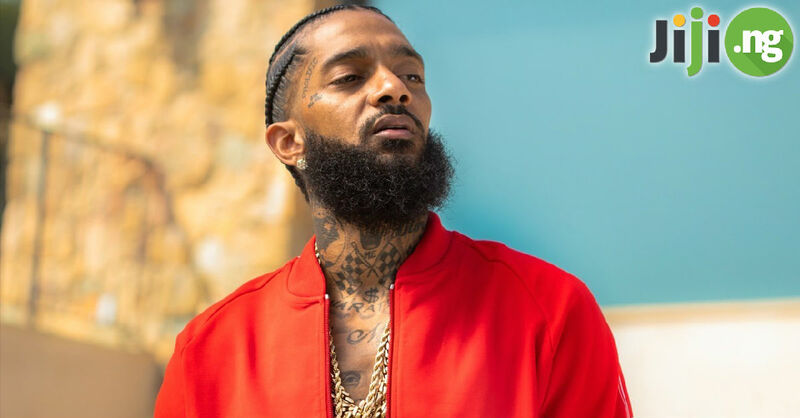 The rapper made breakfast the most important meal of the day: three eggs and some turkey bacon became his favourite breakfast food. When recording sessions last until late night, Rick Ross no longer finishes them off with a high-calorie meal. In order for the diet to work in the longterm, it shouldn’t be too drastic. 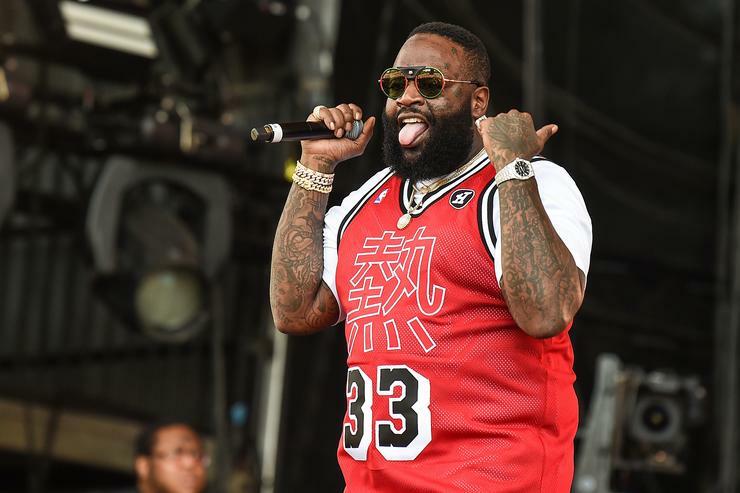 Rick Ross didn’t give up his favourite food, which is lemon pepper chicken wings, and believes that food can sometimes be used as a way to reward himself after certain accomplishments. Effective weight loss cannot be imagined without at least some form of exercise, and for Rick Ross, it’s crossfit. The rapper did 1 20-minute crossfit workout every day, and the results speak for themselves.